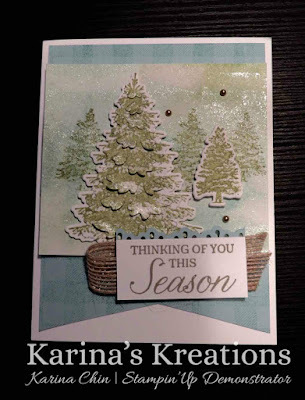 Karina's Kreations: Stampin'Up Winter Woods Shimmer Paint Card! 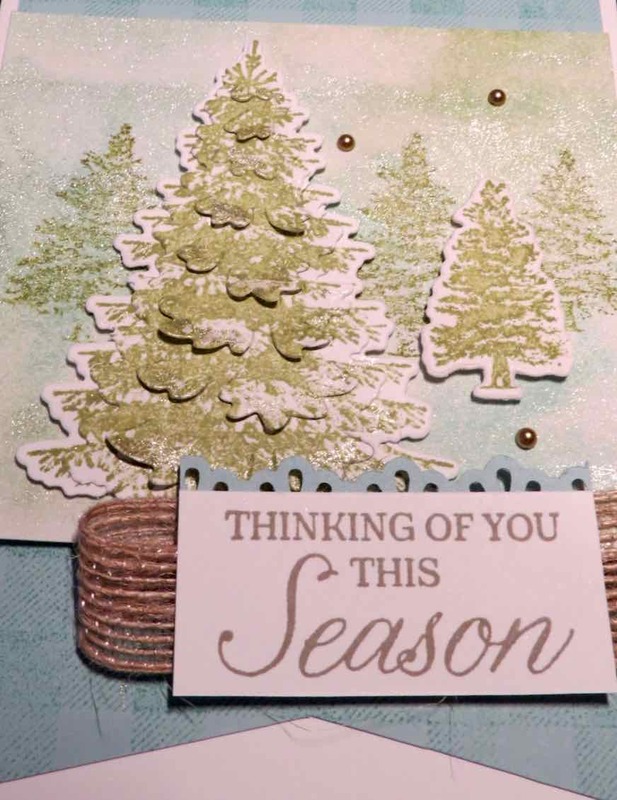 Stampin'Up Winter Woods Shimmer Paint Card! I am doing a demo today on Shimmer Paint and this is one of the cards. The event is called the Creative Day Getaway and we run it three times a year in Edmonton and Calgary. If you live in Calgary, Ab we'll be there on Oct 13. There's still some spots left. My background was created with Pool Party and Pear Pizzaz re-inkers and Champagne Shimmer Paint. Spritz with water and place on Shimmery White card stock. I'll post a video in a few days. It's hard to see in my picture but there is a gorgeous shimmer on the card.